Plancorp started with a unique philosophy: Always put your clients’ interests ahead of your own, and you’ll build a successful business. That was in 1983, but the sentiment still drives every decision we make. After 35 years of helping individuals, families and business owners plan for financial independence, our commitment to serving as financial life advocates is stronger than ever. Unlike a broker-dealer that must constantly sell products to earn commissions, Plancorp is an investment advisor—we don’t sell products at all. Our only allegiance is to our clients. We sit down with every client to discuss his or her vision for the future. Then, we use our financial planning process to turn that vision into actionable goals. Along the way, we provide education on various techniques and tools, including the investment portfolio. We base our recommendations on academic, Nobel-prize winning research, trusting in the power of the market to help us capture optimal returns. With Plancorp there are no hidden agendas or hidden fees—just absolute transparency. Contact us to learn more about our unique approach or to schedule a complimentary portfolio review. Our promise to make every decision in clients’ best interests sets us apart—both in our professional relationships and approach to business. As an independent firm and certified fiduciary, our only focus is our clients and their best interests. 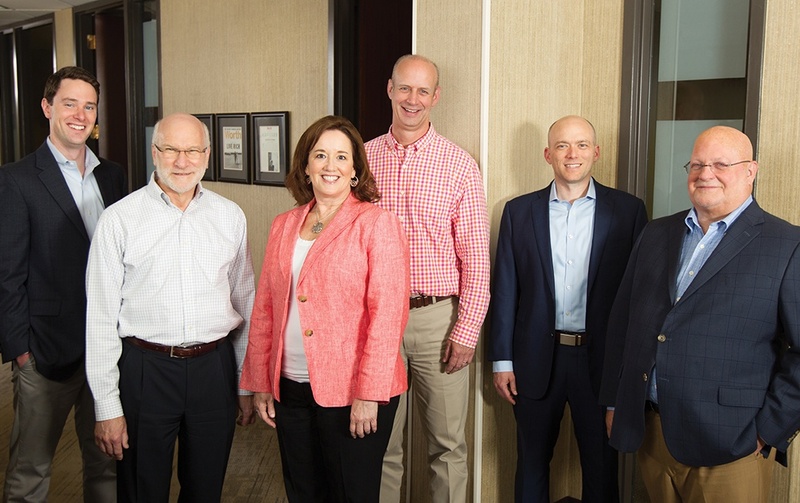 In fact, Plancorp was one of the nation’s first registered investment advisors to become certified by the Center for Fiduciary Excellence (CEFEX) in 2007. Through independent audits, we’ve earned this certification every year since. Another key differentiator is Plancorp’s evidence-based approach, rooted in Modern Portfolio Theory. While others believe they can “beat” the market, we recognize that markets are generally efficient. Our academic-based approach underscores the importance of discipline and risk control in achieving long-term returns. 1 Source: Dimensional Fund Advisors. We’re not alone in our belief in low-cost, evidence-based investment strategies rooted in academic research. For that reason, we founded Zero Alpha Group (ZAG) in 1995 with other like-minded firms. Our Chairman and Founder, Jeff Buckner, served as the first President and Chairman of the organization. As a ZAG firm, we meet periodically with other members to share investment information, discuss business strategy and take part in leadership training. Together, we leverage our influence to negotiate lower-cost investment strategies, obtain premium services and create economies of scale outside of what we could achieve individually. The clients of all ZAG member firms benefit from this synergy. To learn more about what makes ZAG unique, visit www.zeroalphagroup.com, download the ZAG brochure or watch this video.